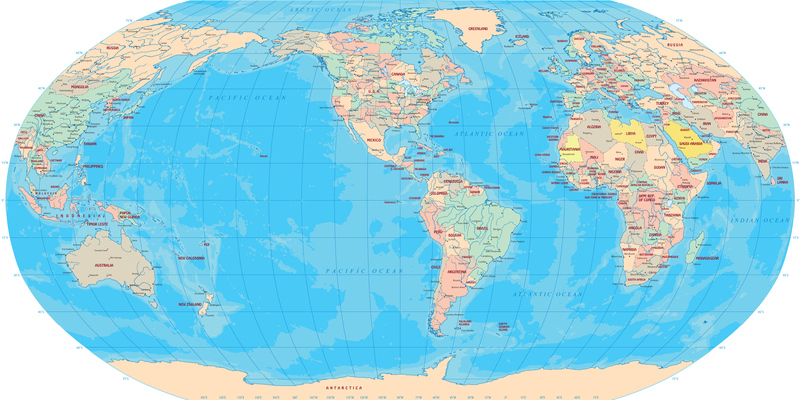 South America in the center of the political world map. Image of Pacific Ocean and Atlantic Ocean. Brasil, Salvador Bahia.